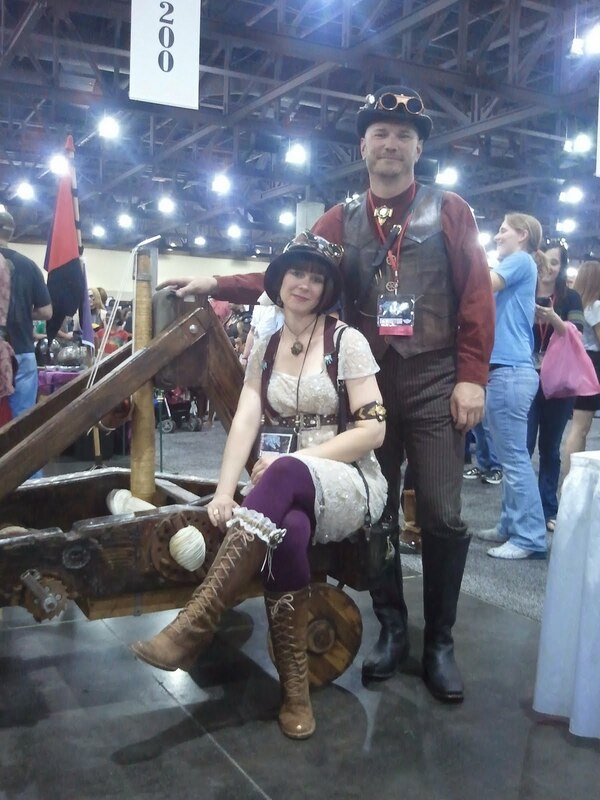 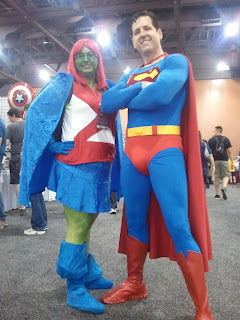 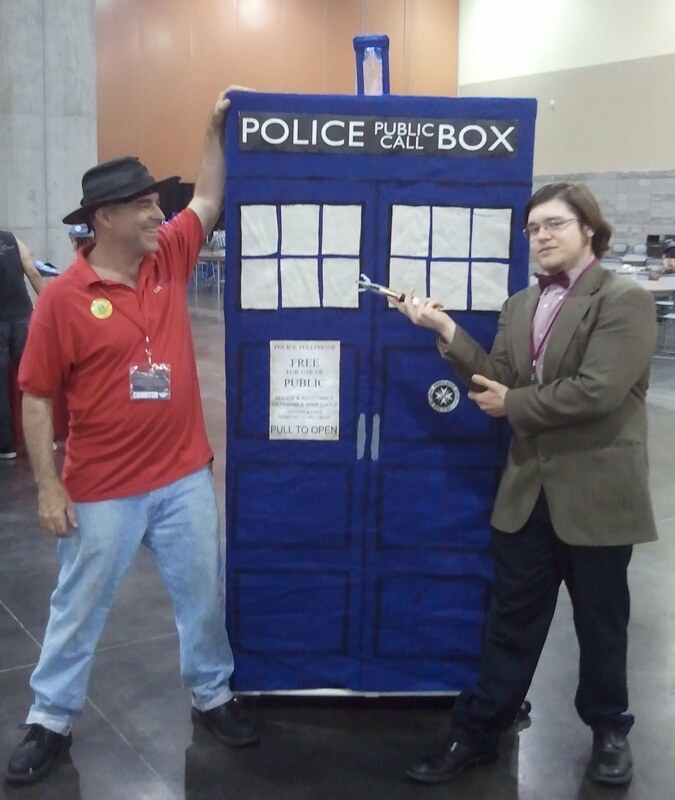 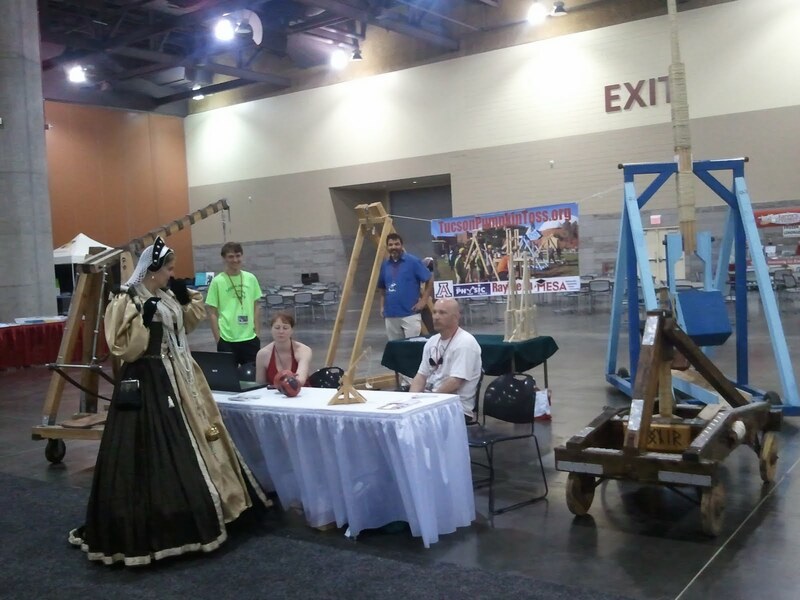 Bruce Bayly joined our Pumpkin Toss colleague Brian Lapham (that's him and Nola in all their Steampunk glory to the right) at the Comic-Con in Phoenix over the Memorial Day weekend. 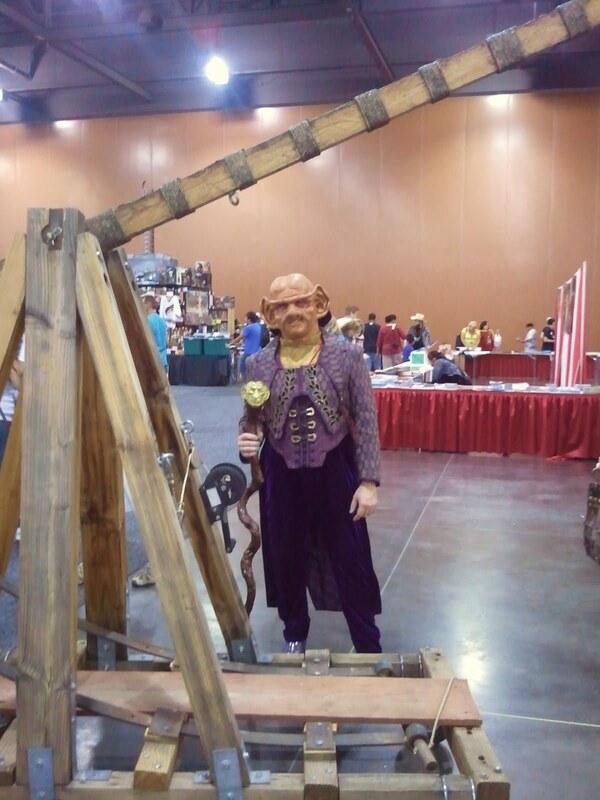 He took the Pueblo Magnet High School's winning trebuchet with him to inspire interest in the 2012 Tucson Pumpkin Toss. Here are some photos he sent back!